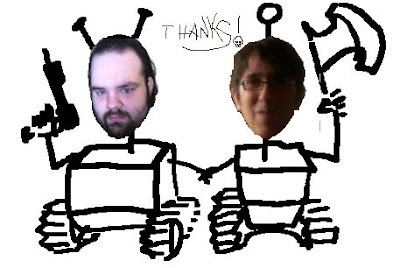 For those of you whom maybe wondering, a few things are going on with RobotRiot. 1. An update for IOS and eventually Xbox platforms will be released soon, which will include new levels, enemies, traps, and so forth. We are also looking at adding iCade support. 2. RobotRiot as a downloadable, will be coming to the PC and Mac platforms. Kotaku reviews RobotRiot and we say thanks! If you're looking for a good bargain, look no further than Robotriot. A platformer with some shooting elements, you take control of Slug: a hovering robot with a rotating turret. The game has you hopping on platforms, gunning down enemy robots, and dodging bullets. For $1, it offers nice pixel-art graphics, fun gameplay, and its own little personality over 12 levels. When talking bang for your buck, I can't recommend it enough! 1. Robotriot iphone and ipad (universal build) has been completed, and will be released September 29th. 2. Robotriot Xbox is currently in peer review, and will hopefully also be launching September 29th. 3. 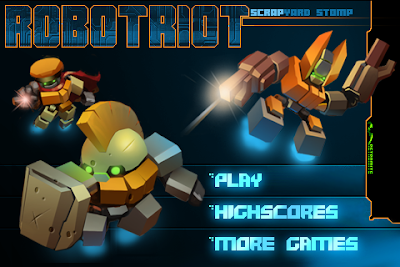 An Android version of Robotriot is now in the works. 4. We have started on some new games. Level viewing on a native windows and Xbox 360 build of Robotriot... Coming along. A very early stage of porting over our in-house engine to Xbox. Robotriot for the iPhone is making great progress, however one issue which was bothering me was the game's loading time. Due to using several large sprite sheets (2048x2048x32 bit, and 2048x1024x32 bit being common) actually loading the game was taking on average around ten seconds to start up. This in my opinion was pretty terrible, but how can you speed up the loading of large PNG files? Well I don't have the answer to that question, I found no solution to speed up the loading of these large PNG files. What I did find however, was an alternative approach that actually saves more disk space and is loading on average 4-5x faster. The solution to amazing loading speeds, is to abandon graphic file formats all together, and go with straight binary pixel data. If you use a format like uncompressed PVR that is written out to be Open GL compatible from the beginning, you skip the entire slow decode process, and simply load into memory the bytes, and blast them off to Open GL texture memory land. This saves a ton of loading time. The problem of course than becomes disk space usage, as a raw uncompressed image can take a ton of space. The solution to this is to simply compress the raw image data with a fast and easy to implement compression, like gzip. Suddenly in most cases you have files that are smaller than their PNG forms, and still load much quicker, only requiring you to unzip the image into a byte array in memory and pass it off to Open GL. We're now using this technique across the board, and our load time of 10 seconds average is down to around 2 seconds on average, we've also knocked off around 200k in disk size compared to the PNG version. And 1200 lines of AI code later.. Early development work on the fearsome red ship command boss. Just a quick demo of Odin our in-house sprite animation editor that is currently in ever growing R&D. Little selection of meanies to come. 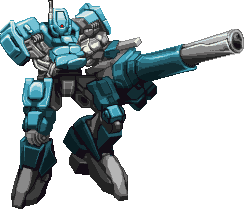 First mission-environment - a rather classic design. Retromite is a 2 man-show with Gregg(USA) on the code and Kawe(Germany) on the art-side. We're both seasoned veterans and got more or less stuck in the golden 9ts, when Pixelart and platforming was THE thing. Aim of this blog is to give cool people regular updates and a channel of communication. With this in mind - enjoy your stay!